﻿Since founded in 1989, Korean manufacturer has majorly produced various kinds of strainers and filters and done our best to meet customers' needs and satisfactions with "best quality", "reasonable price" and "on time delivery". 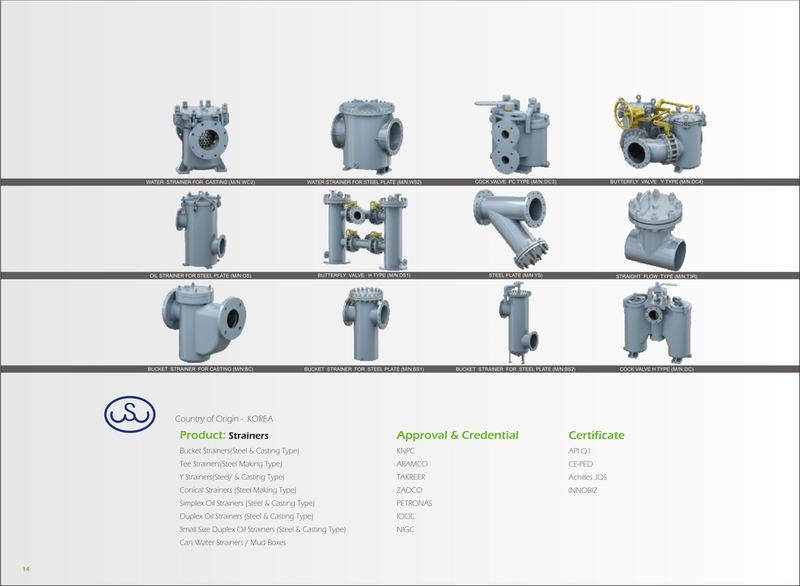 As inexpensive insurance, strainers from Woosung have widely applied andutilized in Offshore plant (FPSO, Drill ship, platform, etc), Onshore plant (Oil & Gas industry (Oil & Gas industry, Petro-chemistry, Power plant, Fresh water, units etc. ).